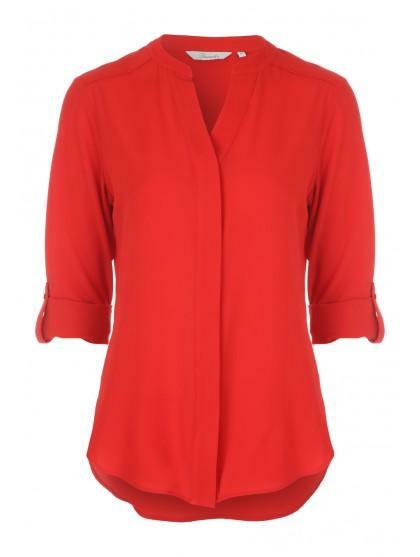 Update your workwear winner this season with this women's black crepe blouse. Featuring three quester sleeve and a V-neck with invisible buttons under a neat placket, this is the perfect piece to keep you looking smart this season. 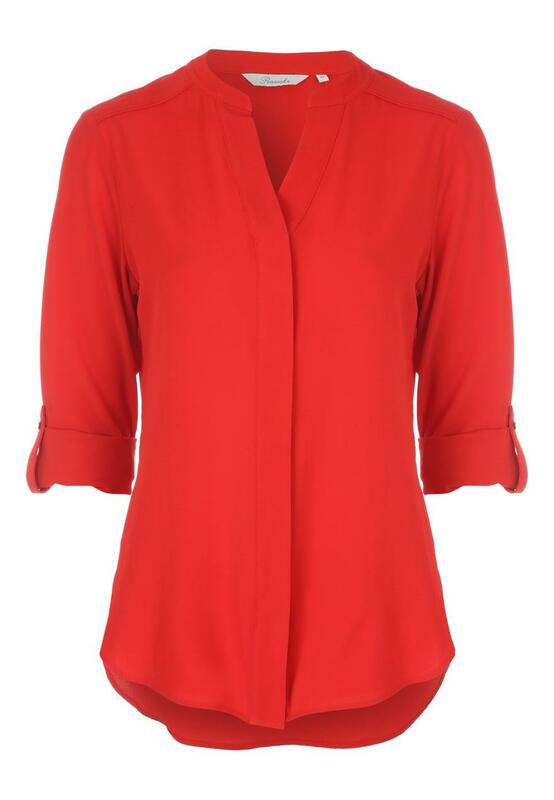 I have this top in black, but the fit in red is not the same.